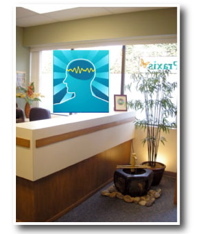 BrainWave is located in the heart of the Pandosy Village area of Kelowna on Pandosy Street and Groves Avenue. Please note: The "Zen Den" store is on the ground floor of the building. The entrance to the upstairs suites is on the left side of the building. Go up the stairs and right down the hall to #3. Office hours are by apppointment. Brainwave is located in the beautiful Okanagan Valley--which is best known as a vacation destination. As a result, we are also situated minutes from the lake, with beaches and parks, and a wide range of interesting restaurants, shopping, cultural and outdoor activities.